At Built in Solutions we manufacture and provide an installation service for bespoke fitted and freestanding furniture and joinery that we produce. Our whole process is managed in-house from initial design to manufacture and fitting meaning we can control our quality through out the process. 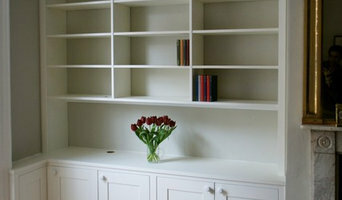 We are specialists in making custom made fitted or built in furniture in a range of elegant styles. We manufacture fitted furniture from Alcove Cupboards to fully fitted Home offices, not forgetting high quality fitted Wardrobes, Bespoke Living room furniture, built in bookcases and fitted Libraries. Also any special special projects that you may have. Our furniture is made to a high specification and in a range of quality materials, and if its technically feasible, then we can make it for you. We’ve been lovingly crafting handmade bespoke furniture, fitted kitchens and interiors from our workshop in Saltaire, Yorkshire since 1998. The furniture we create has genuine spirit – a unique character that is born of the attentive relationships we build with our customers during the design process and throughout the furniture’s creation. Our customers love us because we take the time to fully understand not just their requirements, but their lives. Our customers love their furniture because as part of the design process, there is a little bit of them in their creation. A creation to be loved and admired for generations. We are an unpretentious and honest kitchen workshop, with mini-showroom, based in alluring Highland Perthshire. We make and install beautiful cabinets around Scotland and the UK, using birch plywood as the foundation for all our work. Our approach to cabinet making has been borne not only through many years of learning and experience but from the aim of creating the strongest furniture to endure several generations’ worth of wear and tear. We use advanced CNC machinery coupled with traditional hand finishing techniques to bring out the best in our materials and designs. Each part of the cabinet is precision cut by CNC machine which leaves no room for error. The cabinet is then assembled by hand using mortise and tenon joints, which have been used by woodworkers for thousands of years, primarily for their strength. This joint is then glued and screwed for maximum robustness and longevity. We like to expose our tenons, which is what you can see at the sides of our cabinets, we think they add to the character of our furniture. However if you would prefer them to be unseen this can be easily done. Every exposed plywood edge is sanded to a smooth finish and then polished with wax which beautifully brings out the dimensions of the stacked plywood layers. Adding colour and character: We love colour. Both muted and bright tones will add spirit, vibrancy, warmth and personality to your cabinets and to your room. Adding colour to your Birkwood kitchen is executed in one of two very different ways: Laminate When brought together, solid birch plywood and laminate brings a combination of a striking yet simple aesthetic, delivering a tough, practical and durable product with a unique and fully customisable colour scheme. The use of unadorned birch plywood forces the smallest detail to the forefront. Each joint becomes a decorative element in its own right and the choice of placement of a hand notch can contribute significantly to the character of the cabinet. By using several colours in a run of cabinets you need not commit an entire room to a single colour or pattern. One thing is guaranteed – no-one will have a kitchen quite like yours. Hand-painting “Painted by a person rather than a machine”, this dictionary definition sums this process up. Visible brush strokes carry with them the resonance of tradition and craftsmanship; a hand-painted cabinet will have enduring appeal and stand the test of time. Established in 2006, I have been manufacturing high-quality cabinetry for all rooms in the house from my workshop in Sutton Valence, Kent. The uncommon combination of ‘sole-trader’ status, and a state of the art workshop enable me to take on work of any scope, whilst also remaining your sole contact. From the initial planning stages of a job, through fabrication and finishing and finally installation, I will always be the one to answer any queries you may have with my intimate knowledge of your job. Well versed in traditional and contemporary design, I have equal passion for both and all commissions are treated with equal care, attention and enthusiasm. No matter the size of your kitchen, a bespoke service makes sure you get the most out of your space. Particuarly with smaller kitchens, clever design ensures every millimetre in your home counts! I’m always happy to arrange a convenient time to come and visit you and complete a survey of where you would like your new furniture. A free, no obligation drawing and quote will be put together for your perusal. If this is of interest, I encourage you to come to my workshop so we can take the time together to refine your design until we achieve exactly what your are after. A visit to the workshop is often a good opportunity to witness current works in progress, the materials from which your commission would be crafted, and to see the dedication and commitment that have built my workshop. "Carpenter & Carpenter provided the most professional, efficient and high quality job. Our home office space is transformed, user friendly and beautiful. All pieces were finished to the highest standards." - Mr Legant, London We are award winning designers and makers of bespoke fitted and freestanding furniture and have been carefully crafting furniture since 2001. Beautiful furniture and joinery starts with good design and as a design-led joinery company we understand how to make the best use of your space to create harmonious, considered interiors. Our attention to details and the selection of the most appropriate materials will not only add longevity but also value to your home. We offer a complete design, manufacture and installation service from our workshop in Essex and cover East London, Essex, Kent and Hertfordshire. To discuss your project please call or email us. We provide free design advice and can carry out an initial site survey and talk through the best ways of turning your idea into reality. 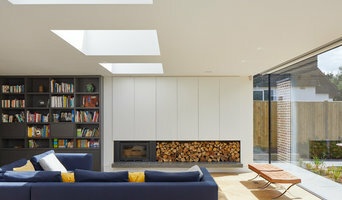 Best of Houzz 2014,2015 and 2016 Designer and Maker of Fine Bespoke Furniture and Cabinets. I design, create and install beautiful bespoke cabinets and furniture including kitchens, libraries, home offices, bookcases, media cabinets vanities as well as freestanding pieces including tables, desks, credenzas, chests of drawers. Having created furniture for a variety of homes and businesses from 11th Century stone barns to the most modern glass walled apartments, I am confident that I can provide an excellent solution to your requirements. Why should I hire a cabinet maker? Cabinet makers are skilled craftsmen who can design, make, rework and repair cabinets and cupboards. They can create bespoke storage or kitchen units for your home that meet your needs and fit with your interiors. They can also advise you on materials and cabinetry styles if you’re not completely sure on the design yet. With the right bespoke cabinet makers, no cabinetry job is too difficult, so even if you have a tricky corner space that you want to utilise, a cabinet maker can create a cupboard to your specifications. Bespoke cabinet makers are more than just bathroom or kitchen cabinet manufacturers and they can be commissioned to create storage cabinetry around the home. Bespoke TV cabinets are in popular demand due to the variations of TVs, consoles, digital TV boxes, DVD players and other items that we want to keep near to our televisions. Skilled cabinet makers can create a one-of-a-kind TV cabinet or media centre to house all your entertainment goodies. 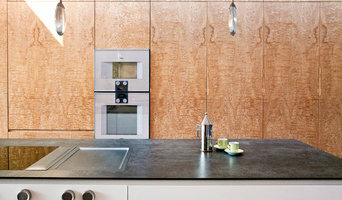 If you already have cabinets or cupboards that you’d like to keep, but they’re just in dire need of a facelift, then bespoke cabinet makers may be able to help, too. You may wish to replace kitchen cabinet doors, give your cupboards a new colour, add decorative elements or use a special finish; whatever the cabinetry task, ask cabinet makers if they can help you. If you need the help of a cabinetry professional when renovating a home, make sure they are happy to work with any other professionals working on the project. Here are some related professionals and vendors to complement the work of cabinet makers: Kitchen & Bathroom Designers, Kitchen & Bathroom Fitters, Interior Designers, Home Storage Designers & Professional Organisers, Carpenters & Joiners. How long have you been cabinet makers? Find a cabinet maker on Houzz. Narrow your search in the Professionals section of the website to bespoke cabinet makers and cabinetry. You may also look through photos to find examples of cabinets that you like, then contact the cabinet makers who worked on them.